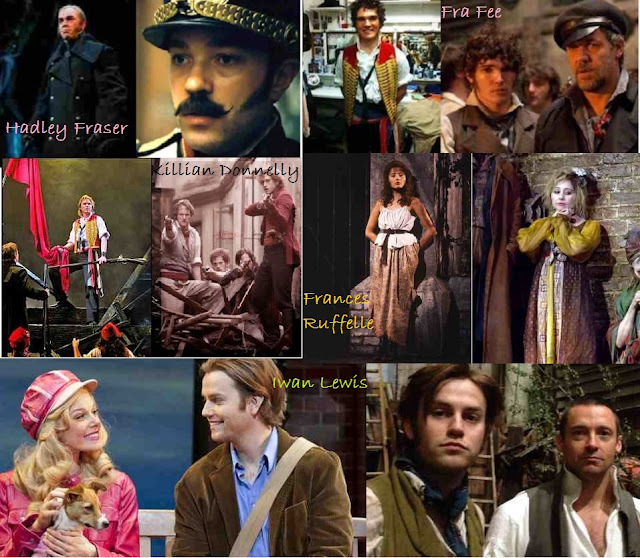 .... Talking about Les Miserables & Musicals, that is. It can be a confusing time for a long standing, devout theatre follower. Suddenly, I’m not necessarily the one starting the discussions; Random people are listening to the songs, colleagues are overheard talking animatedly about the merits of vocal ability over acting ability, magazines are jammed packed with photos, quotes and interviews from the movie cast. And I’m happy, I am. This exposure is brilliant. Ordinary people in their droves will be going to see something other than Viva Forever. Hooray – the West End is saved. When your identity is rolled up with your passion, it feels important to have an ownership of it. It feels like you have a right to make a claim for it, run aways with it and hides it. Tell no one else about it. A tendency toward the dramatic also carries a warning of possessive and obsessive behaviour. Now, it’s taken out of your hands. It’s being divided up and shared around. 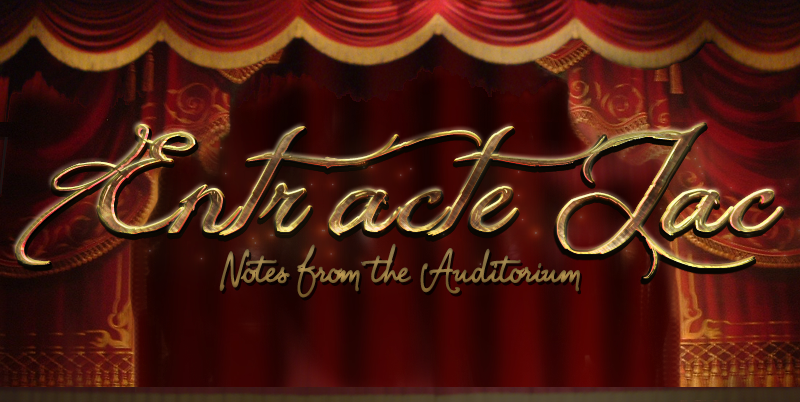 Your scared and confused – no longer are you an individual with a quirky love of musicals. No. Now you’re part of the crowd. You’re getting shoved and pushed and crushed by said crowd. But do you leave? No, of course you don’t. Because though it’s part of your identity, it’s not the whole and the reason it became part of you in the first place is through love. So, instead of being the jealous wife of a polygamous husband who shares himself between many, be the loving wife who promotes and nurtures the growth of the family (while also having a few more loves herself). Attendance at shows is what keeps it going, after all. 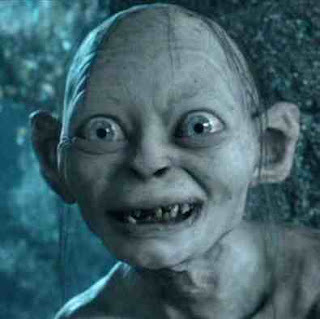 Talking of attendance, I’ll be off to see The Hobbit - errr sorry - Les Mis again sometime this week........ because it’s MY precious! This is going to be just one droplet in a flood of Les Mis Movie reviews, but considering the emotive nature of the film, I think the word “reaction” is more appropriate than “review”. My first reaction is to how far the appeal of this movie has stretched – far beyond the very dedicated but narrow viewership of musical theatre fans alone. In my local cinema, on the second night of its release, in a normally barren land for culture, it has sold out to a roomful of people from all walks of life. I think what has captured most people is simply the fact it’s a well made movie with an intricately beautiful tapestry of a story at its core, woven around generations of characters – more than a story about revolution or class or persecution, it’s a story about people. The fact that it’s a musical is secondary, but hopefully those who are enticed by the story or cinematography will fall in love with the music as much as we, the theatre fans, do. I was pleasantly satisfied by Anne Hathaway’s Fantine. Reading back on my initial thoughts on the trailer back in June, she was one I had big reservations about. But it worked, thankfully. Fantine is such a desperately miserable character that Hathway’s sweet, raw voice added to the sense of her fragility and hopelessness and had me in tears for her pathetic lot in life. Unfortunately I can’t say the same for Russell Crowe , I just cannot get onboard with his Javert. I tried to have an open mind watching him but from the moment he sung his first line, I just knew his voice didn’t suit the character. His acting was fine but the vocals let it down and Javert is such an important part – perhaps the most interesting character of them all. Nor was I impressed with Amanda Seyfried as Cosette – she sounds like a fragile little lamb and I think Cosette is stronger than that. Her voice is just not good enough for those high notes she has to sustain. But, her part is small enough not to have the same kind of impact on the movie that Crowe does. 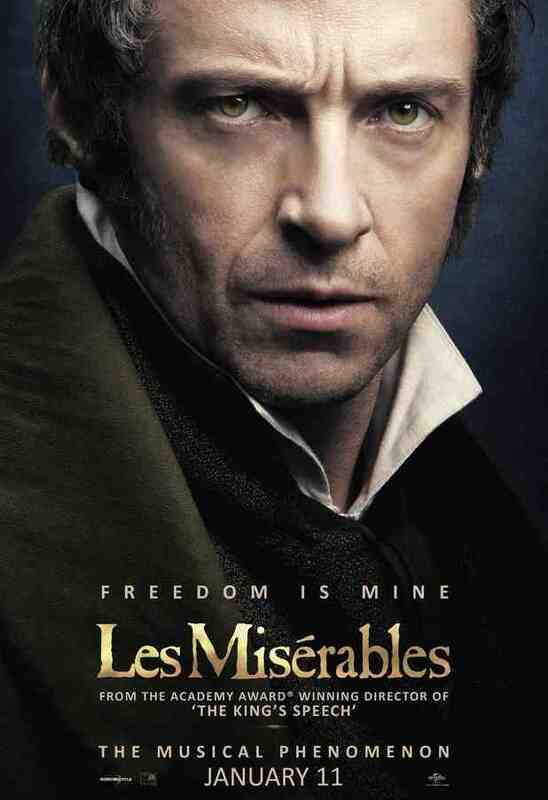 I always had high hopes for Hugh Jackman’s Valjean, as he comes from a background of musical theatre. I was nervous that he couldn’t cope with this iconic role at the start but as the character picks himself up, his voice gets stronger with it and I was relieved that it had been an acting choice to start weak. There were moments when I thought he was trying a bit too hard with his singing – perhaps having a bit too much of a warble and when he was singing ‘Bring Him Home’ I couldn’t help but think “They have Colm on set .... get him to do it” but that was unfair. While he’s no Colm when it comes to singing, he did a damn good job of a song he must’ve been nervous to put out there. As the central focus of the story, Jackman carried it well. Sacha Baron Cohen & Helena Bonham Carter as the Thenardiers – this was always going to be an excellent pairing, wasn’t it? Both have perfectly sinister, comedic stylings to suit these sneaky, scheming characters. Sacha’s little one liners are perfect mood lifters – the laughter was loud and almost hysterical (probably thanks to the momentary light relief) when he called Cosette ‘Courgette’. I don’t think anyone will be surprised that I think Samantha Barks was just a perfect cast choice as Eponine. I wondered how she’d fare with the subtle on screen acting but she adapted with apparent ease and it’s a damn shame she hasn’t been nominated for an Oscar in best supporting actress. Shame on the academy. The students were also all brilliant. Eddie Redmayne as Marius and Aaron Tveit as Enjolras flew the flag for these characters with confidence and vocal ability that shone. If you dropped either of them into the stage show now, I’d have no complaints. I liked the nod to the stage show and theatre fans - after Enjolras is killed, he hangs from the window in exactly the same manner as he hangs from the barricade. The first 15 minutes of the film were quite slow and the singing was weak, though this isn’t surprising given Hugh Jackman didn’t drink any water for 36 hours! I defy any singer to sound good with unnourished vocal chords. It quickly picked up, though – I’d say from the moment the factory scene begins – that’s not to put down Colm Wilkinson’s portrayal of the Bishop. 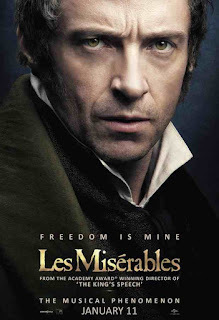 As the original Valjean, I’m so pleased he was given a place in this film and he did an amazing job of what he was given. It’s just the story is still waiting to pick up at this point. I think the nature of this musical is that the more lives that Valjean affects, the more paths he crosses, the richer the tale becomes. From the factory scene onward, it became a fun game of ‘spot the westenders’ who make up a good majority of the ensemble cast. They may not have had the leading roles they’re used to (excluding Sam Barks of course) but at least they’ve been acknowledged and their presence is everywhere. The linking scenes between times and/or places was often really beautifully done both visually and aurally. The one springing to mind right now is after Javert sings ‘Stars’ – the combined impact of that last note blending into ‘Look Down’ while the camera swoops across from Javert’s elevated platform overlooking the city, down, down into the streets where the beggars roam. Talking of ‘Look Down’ - what a brilliant little actor Daniel Huttlestone is! And yet I’d heard nothing about him before watching the film. The focus with the children has been on young Cosette, Isabelle Allen; Probably because she is the “face” of the movie - Her image has been the one plastered over busses and billboards throughout the country and she has ‘shot’ to fame more dramatically than Huttlestone who has been grafting away in professional productions for a few years now. The moment he bounds onto the screen, challenging an upper class man travelling through the slums, this experience is obvious in just one sweep of his hand. I couldn’t help thinking of walking dead when all the beggars were pummelling the window though - That’d be a twist we weren’t expecting. There was a very poignant moment, after Gavroche has been shot and laid out with the other student’s bodies where Javert takes off his medal and places it on Gavroche’s lapel. This is a subtle moment that could only be portrayed through the medium of film. It signifies the start of Javerts spiral into doubting his world view and beliefs and I thought it was a touching moment. Why? This didn’t seem necessary. It happened a few times, but this one really grated on my ear. It didn’t flow as nicely. It’s only minor quibbles I have, really, with this film which I otherwise loved. The tell tale sign of the impact this movie was having on the audience was the perfect silence. I wondered whether there’d be popcorn rustling, awkward giggling and whispering, singing along. But no, silence. Wonderful silence – during Hathaway’s I Dreamed a Dream you could’ve heard a pin drop in that room and that makes me so happy. This is a sign of people engrossed in the world of characters that I’ve grown up with. Tom Hooper has done a fantastic job from all angles and this is as near to perfect for a film adaption as I could have hoped. My sobbing during the finale was not just for the emotion of the culmination of the story but because as a theatre fan this is a film we can be proud of. Well done all involved. Let’s hope the new fans will be inspired to see the stage show now and keep this show, that means so much to so many, going for another 25 years (and more). It’s time to emerge from the Christmas cocoon, blink in the cold light of normality and get back to reality. 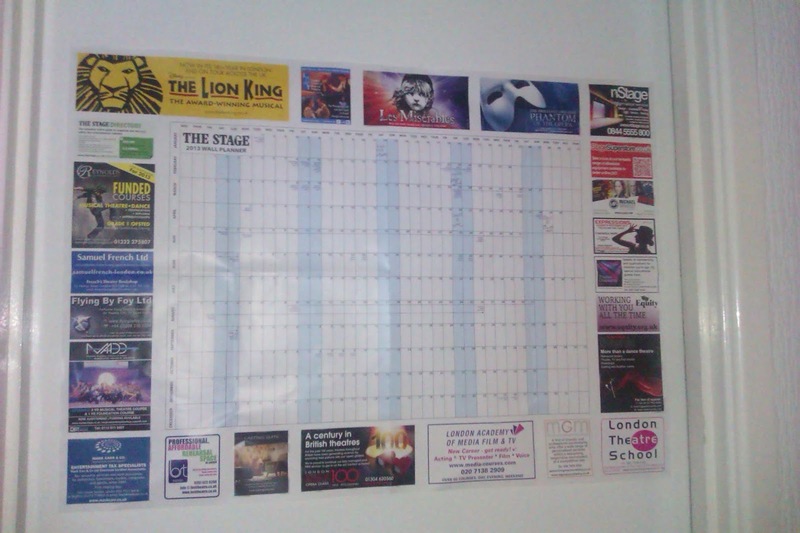 As 2013 begins, my wall planner from ‘The Stage’ paper goes up with lots of fresh, blank spaces yet to be filled. So my question to start the year off with is – what to see? I have a couple of shows lined up already – Woman in Black at Swansea Grand Theatre (23rd Feb), Ghost on Tour at the Wales Millennium Centre (20th April) and Rent in Concert at St David’s Hall (29th April). As of yet, no West End shows. Usually, my first trip to London is at the beginning of February to coincide with my birthday and usually I’d have this readily booked by now. However, I can’t help but notice the soaring cost of everything (particularly the recent rail fare inflation) while wages are going nowhere... except maybe down. This, therefore, could be the year of going to London without pre-booking shows and, instead, getting tickets on the day. It can be risky business but I have actually discovered some shows this way that I may not have otherwise have seen; Shows that I’ve fallen in love with, like Lord of the Rings and Ghost. So, if you’re considering this method be open minded! The way I usually get my last minute tickets is from the TKTs booth in Leicester square where you can purchase top price tickets for half price! So if you’re willing, this is an excellent way to save. Please only use this booth though. There are many unofficial ones set up by ticket touts all around London and you never know whether you’re being swindled from these – AVOID. The other method is dayseating which has been recommended for me to try. I’ve never dayseated before so I wasn’t sure how to go about this but twitterer @steffi_g tells me if you turn up at the theatre’s box office at about 9.30am (earlier on a Saturday) there are usually tickets kept aside for this reason – this is a good method if there’s a particular show you want to see but haven’t booked in advance. This way you have more control over what show to see as you’re not relying on what’s available on the day. I’d love to know what shows you’re all excited for this year and if you have any recommendations of your own on how to grab some theatre bargains, please do let me know.